It's great being able to post this kinda boring tech stuff here on my blog. 99% of our Dear Facebook Friends go comatose when we talk tech there on FB. By putting Tech Talk here, the one percent can come and enjoy our rambling narrative while the other 99% can breathe a huge sigh of relief and move on to other items in their News Feed. We're prepping for a Road Trip (to be described in a separate post). The main reason for the Road Trip is to help some long-standing Dear Friends revise their website. We built their website by hand years ago and have maintained it now and then. We haven't touched it for at least 2+ years. So, in the meantime, we've forgot ALL about FTP protocols, the latest in HTML coding and all the other nuts and bolts of maintaining a website. Well, lo and behold, The Family wants us to help them and they really need help so we consented to drive almost 200 miles to go help them. But first we needed to know we could get back in the saddle and ride that horse again. Yesterday was the day we began the process of saddling up the horse. Our work continued well into this morning. Altogether, we've invested 5 hours in saddling the horse. And we're pretty sure we can now mount up and go for a ride in the back country of the host server. If all this is somewhat confusing to you, fear not. 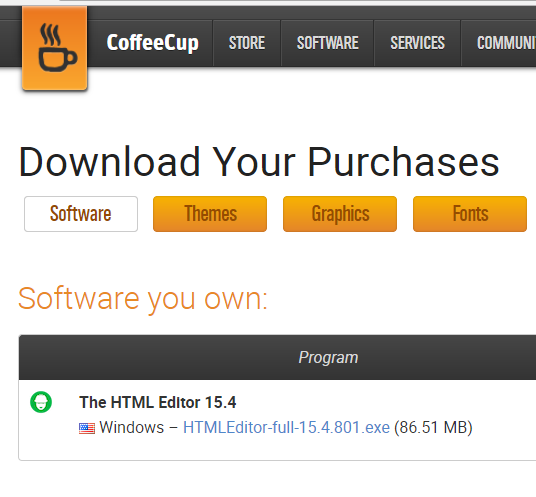 We're talking simply about installing the latest and greatest (to us) HTML Editor and FTP programs. Getting in and out of a remote server is fairly easy and straightforward...unless...you've forgotten the scripts and/or your software won't work. The host server is owned by a small telephone cooperative in one of Idaho's most remote rural areas. Luckily, the people who control the Domain Name Server there are the same man and woman I've worked with for years. So they know me and trust me. And it was easy enough to simply ask them for the security stuff such as user name, password and correct IP address to begin to attempt to gain access to their server. Thanks goodness those two kind people still work there. 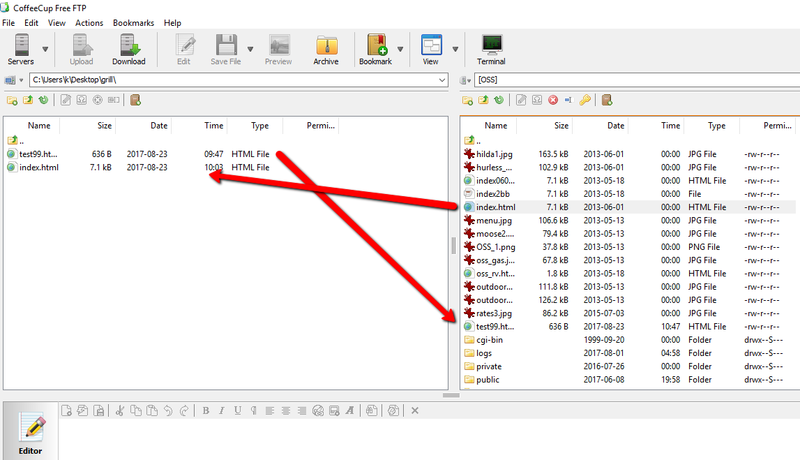 We tried three different FTP programs before finally finding one that worked the way it is supposed to. Then we generated a test HTML file (test99 in the graphic above). After that, we uploaded it to the root directory and then downloaded the index.html file for the website from the root directory to our desktop workspace. Ah, it's great to be back in the saddle again! Some of this stuff is truly like riding a horse or a bicycle. It's stuff you don't forget. You may get rusty but it all comes back pretty quickly. Now the next tricks will be to wring out the new capabilities of the HTML Editor and find out what I've been missing by not messing with it for 2+ years. "Back in the day" I used the free edition of Coffee Cup. Yesterday, I paid their small $24 fee to get the Hot Rod version of Coffee Cup. So, it's going to be fun to see what kind of bear bells and dog whistles are lurking in the paid version. We go way back with coding HTML by hand. We go back before there were programs such as Coffee Cup. We started HTML coding back in the Dark Ages of the internet--like 1994! That's back when the only way to connect to the internet or to a server was with dial up. Does anyone remember those Dark Age Daze? We have the distinction of creating the very first truly functional website for an American Conservation District. Considering there are more than 3000 Conservation Districts in America, that's saying something. But it was a real headache and a chore back in those days. Everything was by hand using ASCII characters one by one. There were no automated devices or tools to help you. Every little speck of code had to be inserted one key stroke at a time. 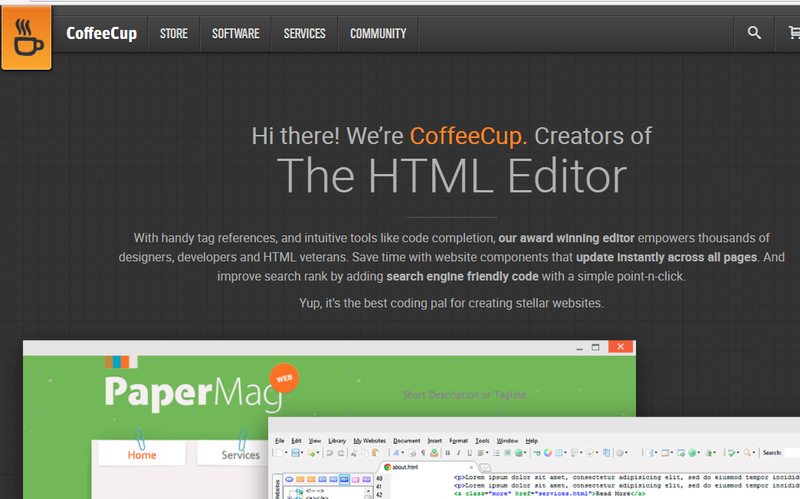 Coffee Cup is an HTML editor built in the classic style. You can easily change coding with one or two mouse clicks. We love that little program and we're delighted to finally have had a reason to buy the Hot Rod edition. I doubt that anyone who has read this far has much of a use for something so archaic as an HTML Editor. But if you do, the web address is between the two graphics. Thanks for reading & Happy HTML!